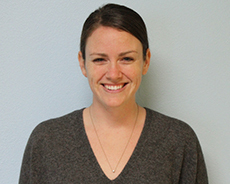 Katie is a Psychiatric Mental Health Nurse Practitioner (NP) who works with children, adolescents and their parents to treat psychiatric disorders including anxiety, depression, trauma related disorders, ADHD and behavioral disorders. Katie has experience working in a group home setting as well as in community outreach, homeless adolescent mental health, LGBTQ health and psychiatric emergency services. She has primary responsibility for patients, and she works with other clinicians to oversee the prescription and management of mediation, and general medical and mental health. Katie was a competitive swimmer in college and now enjoys being an avid Bay Area sports fan. She grew up in Palo Alto (Gunn HS), and lives with her husband and cat Pico in San Francisco.